Construction Innovation launched a new industry publication Adopting BIM for facilities management at the Royal Australian Institute of Architects (RAIA) conference in Melbourne last month. 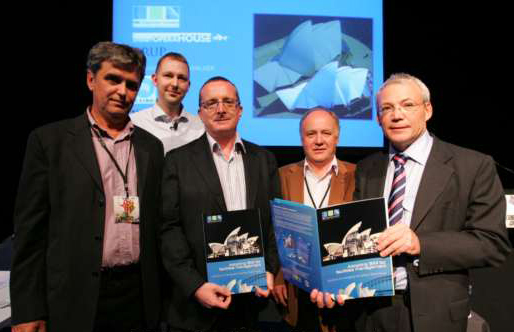 More than 250 conference delegates attended the publication launch and Sydney Opera House BIM presentation at the conference. Adopting BIM for facilities management is the second industry publication to be developed from the Sydney Opera House FM Exemplar project series. It provides a comprehensive overview of the digital modelling research stream of the project led by John Mitchell consultant to Construction Innovations research partner CSIRO which focused on the application of Construction ICT, specialising in BIM and open standard model sharing such as IFC. The research demonstrates significant benefits in digitising design documentation and operational and maintenance manuals.